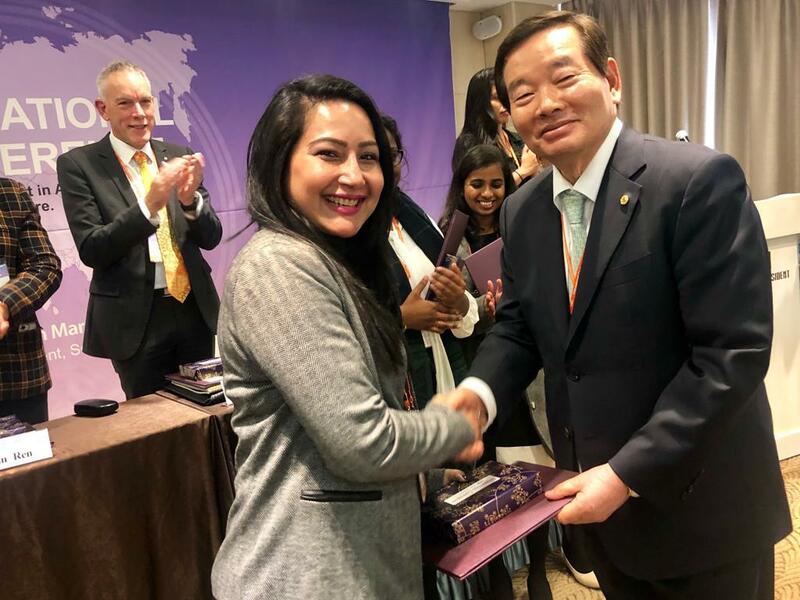 Adding another determined feather to her cap, the famous criminal psychologist Mrs Anuja Kapur is now one of the Founding Board of Members of the Victim Support Asia Organization and she also had the honor to address at the conference held at the Hotel President in Seoul, South Korea on the 25th of March, 2019 . The Conference was organized to create awareness for Victim support in Asia by Mr Yong Woo Lee, the President of the Korea Victim Support Organization and Ms Frida Wheldon, the Secretary of the Victim Support Organization, Sweden. At the event Mrs. Anuja Kapur addressed the assemblage on how there’s no shame in being hurt by what we’ve gone through. Stimulating victims to pretend not to be victims or admitting it to be their fault or fate further dislodges their psychological state. The people that go against others and make them victims are the real menace in the society. If anybody needs to be embarrassed it is not the victims but the people committing the misconduct. Ultimately no-one chooses to be a victim. Rendering these victims /survivors with motivation and esteem is the least that can be done for them. The people who act the sin have the shame and insult upon them and those who protect the culprits by blaming the victims are as guilty as those who abuse.